3 awesome MIDI construction kits + stacks of loops performed with breathtaking authenticity in the styles of some of the huge artists of the era. A fantastic resource for songwriters and producers alike. 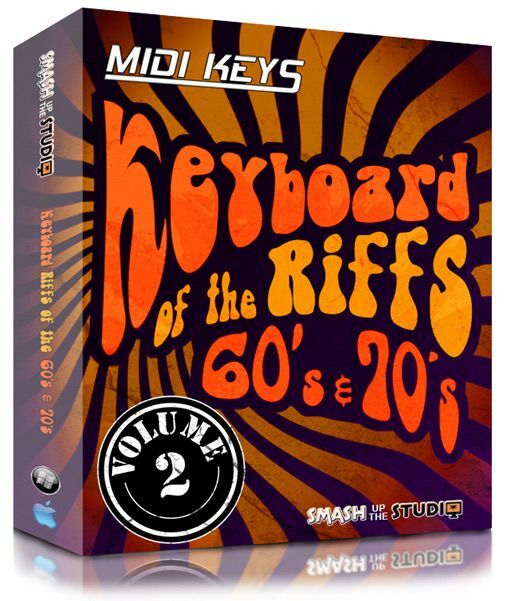 Smash Up The Studio is proud to present by popular demand "Keyboard Riffs Of The 60s & 70s 2"
many of todays popular styles. Soul, Funk, Jazz, Rock and Pop. of your choice to play back each loop, as well as performing countless other editing permutations. Our Midi packs do not contain drum grooves or beats, these are purely for demonstration purposes. for Smash Up The Studio.